These days, as any pipe smoker will tell you, the media is full of reasons why you shouldn’t smoke and invariably cigarettes, pipes and cigars are all lumped in together. The newspaper reports will tell you that smoking is bad for your lungs, bad for your heart, bad for your arteries and just generally bad for your health in general. And, obviously, some forms of smoking are detrimental to your health and dwelling on all the bad aspects of smoking certainly does sell papers and attract viewers to television programs. Everybody loves to hear bad news so the papers and television stations are going to stress the bad side-effects of smoking and they’re not going to tell you anything about any positive side-effects that may have been documented. In fact most people probably don’t even stop to consider that there could be some positive side-effects to some forms of smoking … but there certainly are positive side-effects and we’re going to look at some of those right now. 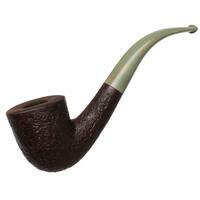 It is fairly well known that some very famous people smoked a pipe. People like FDR and General Macarthur were well-known pipe smokers and, when you come to think about their lifestyle, it’s no wonder that they smoked a pipe. Pipe smoking is very very relaxing and when you’re in a job with high stress levels such as the two guys I just mentioned, then you can understand why they sought some peace and time for reflection with their pipe. These days there are lots of us who work in very stressful positions and what can we do to try and beat that stress? We can drink, we can pop pills, we can even go and see a shrink for some therapy sessions but none of those can relax us as much as a quiet time watching the events of the day come and go in the wisps of smoke that come from a bowl of fine premium tobacco. Sitting back with your pipe is an escape from the world and all the stress that had built up throughout the day. It’s a time for reflection when you can come to terms with the challenges that you’re facing and it prepares you for the stress and challenges of another day. But there are more positive side-effects to tobacco than just stress relief. There’s a suggestion that smoking may be a form of pain relief. A friend of mine suffers from some serious knee damage but can’t avoid spending long hours every day on his feet. Of course that puts some incredible strains on his knee and the pain at the end of the day can be almost unbearable. He’s tried painkillers and he’s tried injections but there’s nothing that takes the edge off the pain that he suffers from more than tobacco. Just a few puffs and the pain is beginning to dull for him. Now I’m not trying to suggest that smoking a pipe will cure chronic pain and it certainly doesn’t take away all the pain that my friend suffers from but it does dull the searing pain that afflicts him at the end of a busy day to the point where it’s more bearable. And pain relief isn’t the only physical and mental thing that smoking can help alleviate. Medical research is beginning to show that tobacco helps to prevent colon and prostate cancer … now there’s a shock! Tobacco actually helps prevent some forms of cancer … I bet it’s going to be a while before that fact becomes a lot more public than it is today. There’s even some suggestion that smoking helps thin the blood and reduces the chance of blood clotting. There’s also evidence that tobacco smoke helps alleviate illnesses such as Alzheimer’s Disease, Parkinson’s Disease and Tourette’s Syndrome. And some research suggests that schizophrenia and some addictions can be helped by smoking. However, there is one key point here that must be stressed. We’re not talking about smoking cigarettes here. Cigarette smoking certainly is harmful to your health and you only have to think about all those chemicals in the cigarettes you smoke … and the paper wrappers … and the way a cigarette is smoked … to understand why cigarette smoking is harmful. Pipe smoking though is different. Most pipe smokers do not inhale to the same extent that a cigarette smoker inhales and it’s that difference that’s the key here. When you don’t inhale deeply as cigarette smokers do then you’re not damaging the delicate structure of your lungs but you are still getting the positive effects of smoking. Now you may think that all these beneficial side-effects of smoking are something that are quite recent medical discoveries but that’s not the situation at all. The known positive side-effects of smoking have been known for many hundreds of years and tobacco was recognized as having medicinal properties well before the Europeans first discovered tobacco in the New World. Pipes and tobacco have been uncovered at archeological digs throughout north, central and south America and the first Europeans to arrive after Columbus found that many of the tribes they encountered regularly used tobacco to treat a wide variety of medical problems. Of course “modern” science doesn’t like to look back at what’s gone before and sometimes doesn’t even care to admit that there are opposing views to what they’re promoting. That’s probably what we’re seeing today as more and more research dollars are pumped into proving tobacco is bad for you while very little is put into promoting the positive aspects of tobacco. I suppose that it’s understandable that even the cigarette companies aren’t going to be interested in funding tobacco research that shows that their products don’t have the same positive side-effects that pipe smoking can have. So we’re left with the situation where just a small group of researchers, often starved of funds, are prepared to go on researching the positive aspects of tobacco and smoking. Even when they make new discoveries and breakthroughs it’s hard for them to get the message out. But we can take heart from that research that is being done for it is showing that pipe smoking does have some very positive side-effects so don’t be afraid to sit down tonight and enjoy the relaxation that only we pipe smokers can appreciate. It’s not as bad for your health as others would have you believe. Tags: dangers of pipe tobacco, hazards pipe smoking, is pipe smoking healthier than cigarettes, pipe smoking lung cancer, pipe tobacco cancer, tobacco health, which is more unhealthy? pipe smoking or cigarette smoking? Had I not had my pipe to calm my mind, during a long fight with colon cancer, I am sure I would have been a total wreck. High blood pressure and other nerve related issues, as well. Not to mention, remaining calm around my wife and children. 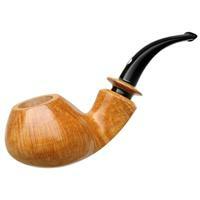 I am 52 years old and I have just started smoking a pipe after trying about 30 years ago. I have had chronic back and neck pain for about 10 years. The doctor said it was tension headaches and could not help me. I took aspirin daily for 10 years to alleviate the symptoms. Now that I started smoking a pipe the pain is almost gone. I also have an enlarged prostate and find my prostate shrinks when I smoke the pipe(I can urinate easier). When I don’t smoke for a day my prostate is worse. I would rather not smoke but if it is helping I will continue. I smoke about 1 bowl per day. This is a great validating article on the good side-effects of smoking pipe tobacco. Comments in a book PIPE by Robin Crole prompted me to find your article on Google. 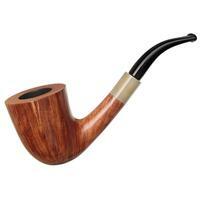 I have been smoking my beloved tobacco pipe on and off, mostly on, since age 18 56 years ago. And first I must say, people often say, I love the smell of you pipe, or that it reminds them of a loved grandfather. When do you ever hear someone say, Oh, I love the smell of your (stinking) cigarette. Second, the pipe itself I regard as an art object, and I like messing with it ritualistically as well. Now here comes my real point. Since the mid-90s my left hip has been rotting down and I now suffer near-constant pain. That is bad enough but the worst one is the wearing away of my last spinal vertebrae. The pain the latter produces is often almost unbearable. 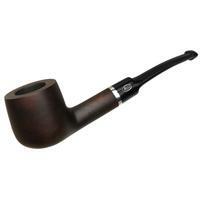 I began to notice some time ago, however, that smoking my pipe calmed me and gave some degree of relief from the pain. So, I decided to take things a step further, or is it farther… I bought some Mary Jane, filled my pipe half with pipe tobacco (2 parts Cherry Cavendish and 1 part Black, then topped it off with Weed. Just as I hoped for! It really dulled and sometimes stopped my pain, and I could get to sleep. Does wonders for the leg and hip, but only so so for the vertebral problem. The latter makes me squirm. Fellow sufferers of that one know what I mean, Jelly Bean. I heard that in Europe folks do actually mix tobacco and MJ to good effect. I’ve tried that and it is a good way, but better to top off tobacco with MJ from my experience. I used one of my briars, not any of those wierd dope pipes. But, that unit must be kept at home since if smoked outside the residual MJ gives off its pungent odor. So, I sacrifice one good pipe in the interest of diminishing pain. I don’t say MY pain. It is NOT “my” pain. It is a foreign malevolent force that I do not own. Why don’t I have surgery? If I had medical benefits or sufficient money I of course would, but even at that I would NOT give up my beloved tobacco pipe. MJ I could probably do without, but not my most pleasing tobacco blend. My habit is usually 2-3 pipes a day. 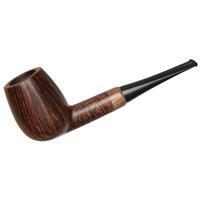 If you have good tobacco and know how to smoke a pipe, and it is an art, a bowl can last for well over an hour. So morning, afternoon and evening makes three good times of the kind of pleasure only pipe tobacco can give, if one has good pipes, rotates and keeps them swabbed and cleaned. I have a dozen usable pipes so I always have some that are dry. In case you don’t know, smoke slowly and never in the wind or near a fan or the pipe will burn hot. Frequent tamping and relighting is a must. After first layering up a load not too tight, not too loose, but just right. As I say, it is an art. The high art of pipe smoking… and pain relief, more or less. Richard Lee Van Der Voort, American geezer living in the Philippines. Thanks for the very informative comments Richard. Just got a corn cob pipe and can not agree more. I write for a living and nothing helps with relaxing and brainstorming than smoking my pipe. I am an artist and i am a new pipe smoker only about a year or two, to this date but i find when i am struggling with my art stepping out for a smoke helps me gather my thoughts and move forward in my painting more quickly. I just bought my first corn cob pipe and and tried out smoking pipe tobacco for the first time today in Chicago. I think this will be a new hobby of mine. It is very fun and relaxing. I am 23 years old. Also, it is good to know that there are some health benefits to it. I am not a cigarette smoker but I do enjoy the occasional cigar and now pipe tobacco. I tried non-aromatic Virginia Virginia tobacco and found that it tastes too much like cigarettes. Does anyone have any suggestions on good pipe tobacco to try??? I really enjoy smoking my pipe it is very relaxing and seems to releve stress. Is sold by the ounce. I’m currently smoking a nice rum infused tobacco. It goes well with a nice sipping rum. Enjoy.